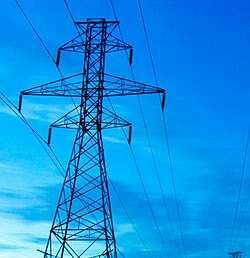 The Centre has extended the deadline for States to submit their views on the draft standard bidding documents (SBDs) and guidelines for ultra mega power projects (UMPPs) to be set up under build, own and operate (BOO) basis. BHUBANESWAR: The Centre has extended the deadline for States to submit their views on the draft standard bidding documents (SBDs) and guidelines for ultra mega power projects (UMPPs) to be set up under build, own and operate (BOO) basis.Earlier, the Ministry of Power had set December 18 as the deadline for all the stakeholders of UMPP to give their opinion on the revised SBDs. However, the last date for submission of comments has been extended to January 1, 2018, official sources said. The Power Ministry’s decision to revise the SBDs stemmed from the pull out of private players from the bidding process. As many as nine bidders including two National PSUs - National Thermal Power Corporation (NTPC) and National Hydro Thermal Power Corporation (NHPC) - backed out from the bidding process for Bedabahal UMPP in Sundargarh district.Other companies which withdrew from the bidding process include Adani Power, CLP India, Jindal Power, JSW Energy, Larsen & Toubro (L&T), Sterlite Infraventures Ltd and Tata Power. All these companies had responded to applications of Odisha Integrated Power Ltd (OIPL), a special purpose vehicle floated by Power Finance Corporation (PFC) for the 4000 MW coal fired Bedabahal project. Prior to withdrawal, the private players had raised concerns on the design, build, finance, operate, and transfer (DBFOT) model for the UMPP prepared in 2013. They had argued that under the DBFOT model, the risk was not apportioned equitably as all losses go to the power producer while gains went to the procurer. In the final SBDs, the clauses relating to fixing responsibility on the host State over land acquisition and rehabilitation and resettlement (R&R) have been significantly diluted. The Power Ministry had set up an expert committee to review the SBDs and the guidelines for UMPPs. After extensive deliberations with all stakeholders, the expert committee had prepared a model bidding documents and guidelines for UMPP based on allocated coal linkage. Meanwhile, land has been acquired for the Bhedabahal project and compensation has been paid to more than 90 percent affected families. Of the 3,246 acres of land required for the project 2,733 acres are private land, 444 acres government land and the rest 69 acres revenue forest land.